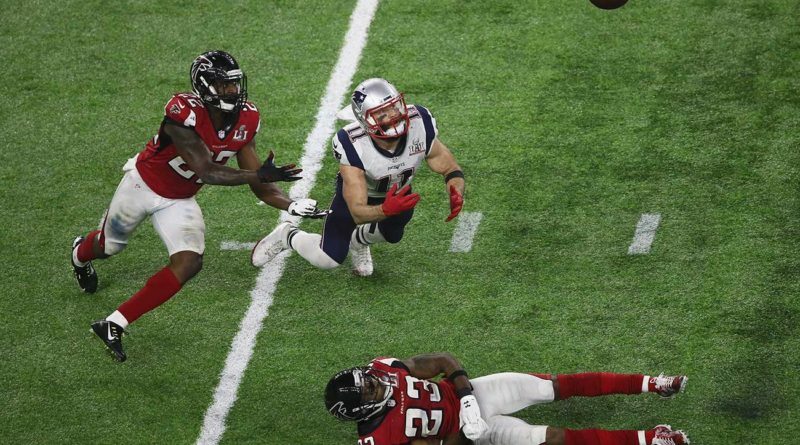 This was a critical play late in the fourth quarter that helped complete the comeback in Super Bowl 51. It kept the momentum going in the drive to bring the game to OT. At the time many people thought that this play won Atlanta the super bowl, and it should have. It was an unbelievable toe tap catch on the sideline. The Warriors were trailing by a point with less than a minute left in game 3 of the NBA finals. This shot won them the game and gave them a demanding lead in that series. Also KD shot it over the “king”. It was an amazing comeback by UCLA to win against Texas A&M. It was a risky play but capped off a 35 point comeback. This play was jaw dropping for everyone that saw it was a monstrous dunk. It was arguably one of the best dunks of 2017. Patrick Kane works his magic as he weaves through the defense to score a goal and to lift his team to victory over the Montreal Canadiens. This play was like poetry in motion to watch. It was an unbelievable display of passing and a ferocious dunk by Durant. This play solidified the win over the Rockets in dramatic fashion. Westbrook slammed a left handed dunk over Clint Capela. In a crucial divisional win, JBJ robed one of the best hitters in baseball. This catch is arguably the best one this baseball season. Sergio Ramos helped to cement the victory over Apoel with the magnificent bicycle kick. The header pass made this goal even a better one.